Fluidra, the multinational specialised in the development of applications for the sustainable use of water, has appointed Xavier Tintoré at the head of the group's corporate and financial affairs. Tintoré will replace Antonio Rubió, who is leaving the company after three years in the post to pursue a new stage in his career. The multinational's new CFO has long-standing international experience. Tintoré has acted as head of finance and operations in other multinationals and listed companies. By joining Fluidra, he will contribute to the successful management of its strategic plan based on internationalisation, diversification, innovation and efficiency. Xavier Tintoré has a Degree in Business Studies from the ESADE, he passed the General Management Programme (PDG) run by the IESE, and he holds a master's degree from the École des Hautes Etudes Comerciales (HEC, Paris). 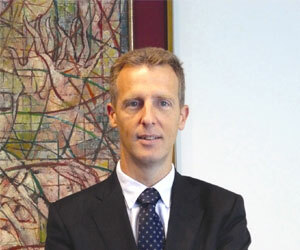 Fluidra's new senior manager has long-standing experience in finance and international affairs. His professional achievements include his decade-long experience with Dade Behring, the multinational devoted to the production of medical diagnostics solutions. He was initially responsible for the company's financial management in Spain, from where he moved on to take over as general manager in Portugal before his appointment to Brazil, where he was responsible for the general management of the company's operations in Latin America. Finally, he moved to the company's head office in the United States, where he held the post of director of strategic planning and business development. Until recently, Xavier Tintoré was the CFO for Indo Internacional. His main aim by joining Fluidra is "to take an active involvement in the company's growth processes by applying its strategies of internationalisation, diversification, innovation and efficiency, whether in the opening of new branch offices, making selective acquisitions, investing in R&D or improving processes. In short, to achieve efficient financial planning and focus day-to-day tasks on fulfilling the targets set in the multinational's strategic plan".